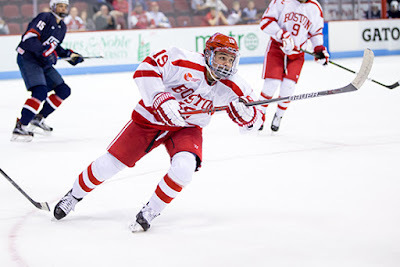 Episode12 of Inside BU Hockey features Bernie Corbett’s interview with Head Coach David Quinn, freshman center Clayton Keller and former Terrier captain Wade Megan. 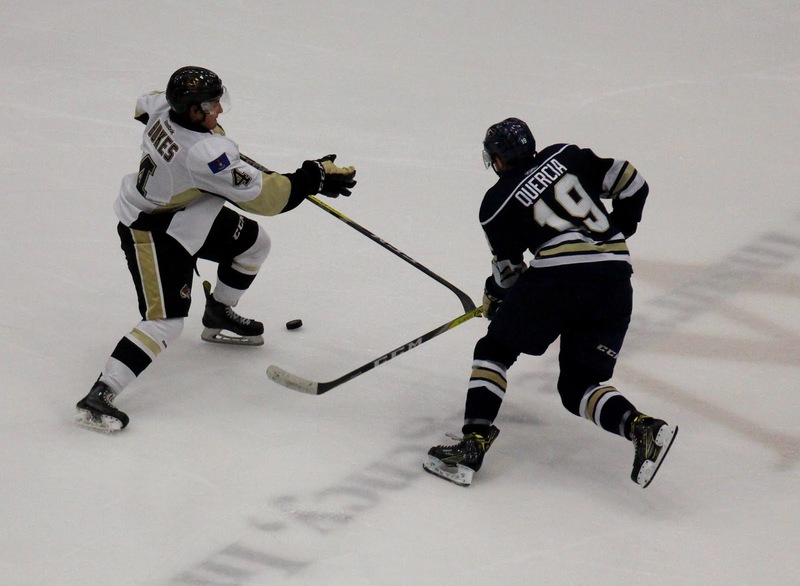 Keller, a first-round pick (#7 overall) of Arizona in the 2016 NHL Entry Draft, has sixteen points in 11 games for the Terriers. As a member of the gold-medal US World Junior Championship squad, Keller led Team USA in scoring (3-8-11), earned a spot on the media all-star team and, along with Jordan Greenway, was named to the Top Three Players on Team USA. Megan, who scored 49 goals as a Terrier and captained the 2012-13 team, was a fifth round draft pick of the Florida Panthers. The Canton, NY native has 34 points (18G, 16A) for the Chicago Wolves—2nd in the AHL in goals and 4th in points (just ahead of Danny O’Regan’s 33). Last month he was called up to the St. Louis Blues and scored a goal on his first NHL shot. The upcoming BU-BC series is previewed on the Eastern Bias podcast with guests Bernie Corbett and Joe Rish of BC IMG Sports Radio. Terriers are on a four-game winning streak, the longest of this season. Bobo Carpenter has had a hand in the last three game-winning goals. Look to arrive early at Agganis tomorrow night, BU and BC fans. There'll be a tribute video for the 13 combined #WorldJuniors guys (🇫🇮🇨🇦🇺🇸). 2018 recruit Matt Quercia scored a goal and added an assist as Team West blanked the East in the USHL/NHL Top Prospects Game. 2017 recruits Shane Bowers and Kasper Kotkansalo also skated for Team West. NHL.com’s Adam Kimmelman offered comments on the future Terriers. Game Day: Terriers host the Eagles.